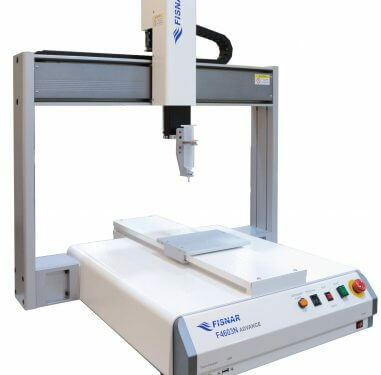 We integrate the robot with our dispensing, curing or surface preparation equipment. We can configure and customise them with holding tools and fixtures, benches and safety enclosures. Programming is simple using a teach pendant or computer software. We help you evaluate and select the most efficient and cost effective automation for your application and process. The robots are robust and very easy to maintain.